After a late morning breakfast, the perfect stranger and I headed out to Oatman. 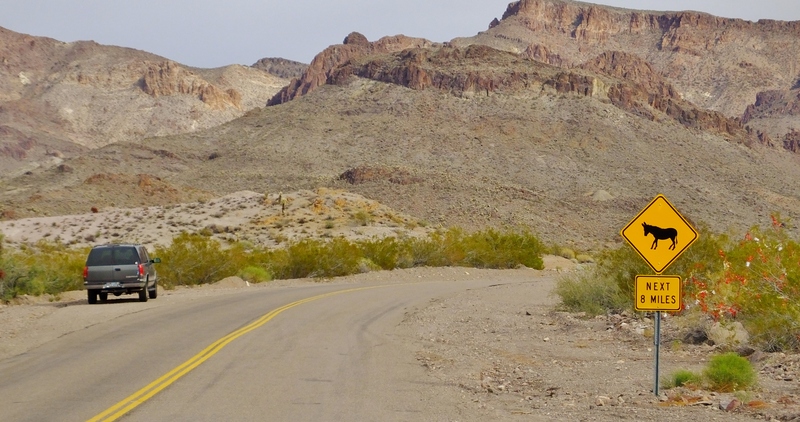 This former mining town is only 30 miles from Laughlin, Nevada. 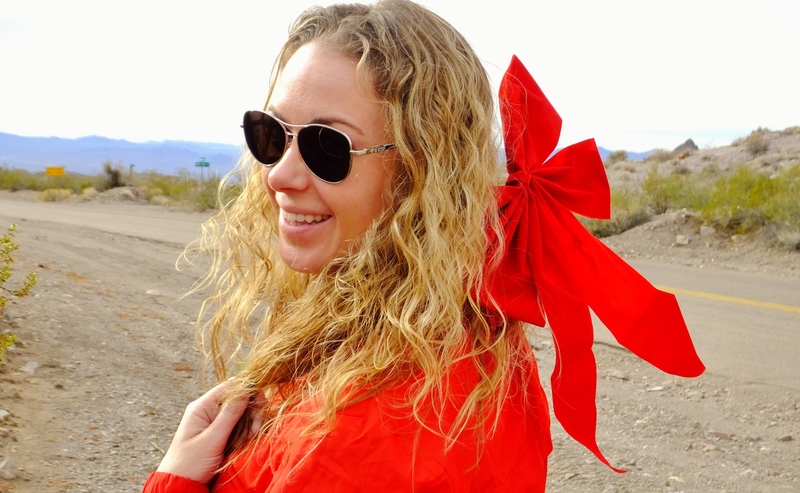 Many people consider Oatman to be a ghost town that refuses to die. One has to wonder, is it really ignoring death, or simply acknowledging the burro’s presence as a sustainable tourist attraction? 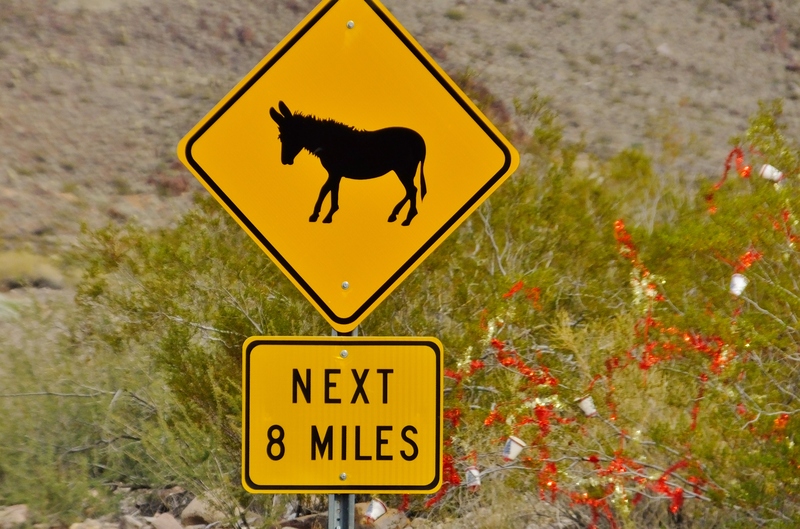 Burro’s were first brought to Oatman to haul rock, ore, water and mining supplies for gold prospectors. 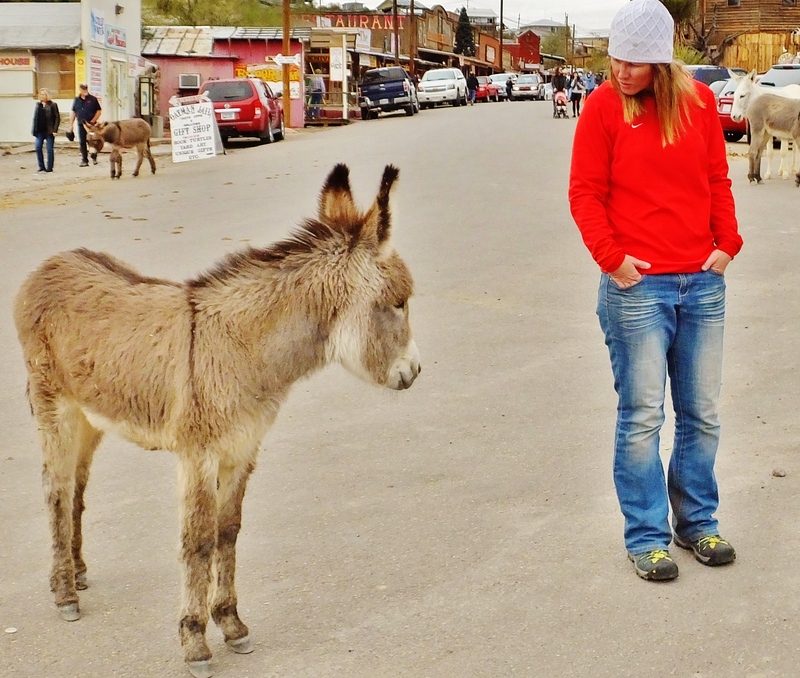 After the mines closed in 1942, the burros were freed and released into the surrounding hills. While the highway sign reminded us to be cognizant of the burro’s presence, our attention was directed elsewhere. 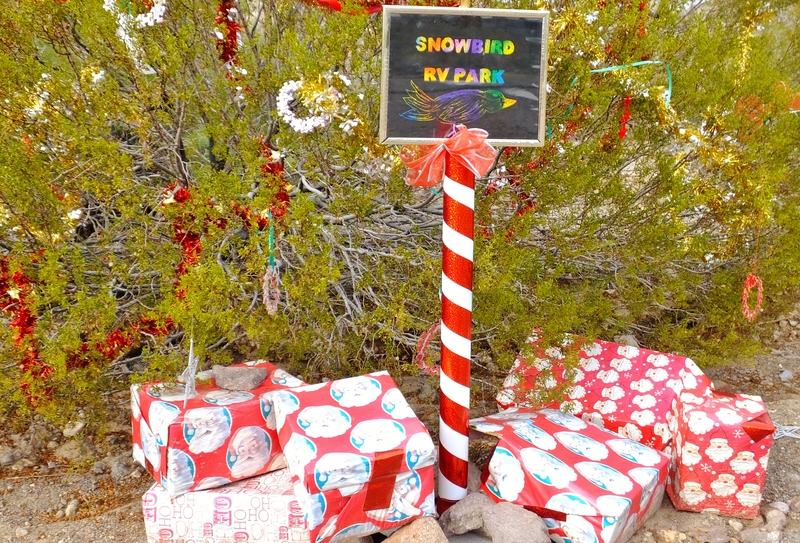 Imagine driving down a quiet desert highway and finding Christmas decorations in the desert? Creativity comes to mind when I think about desert communities. Citizens of the desert seem to have the ability to create something out of everything, even though the unappreciative might consider their “everything” as nothing. 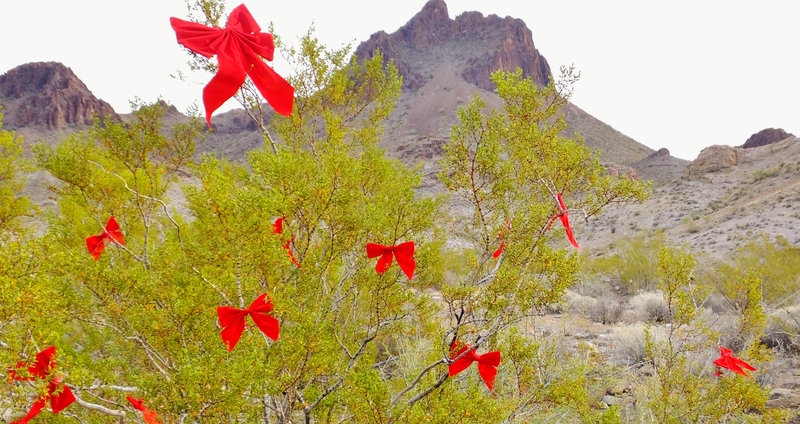 This community had taken the time to wrap the desert brush in Christmas tinsel. 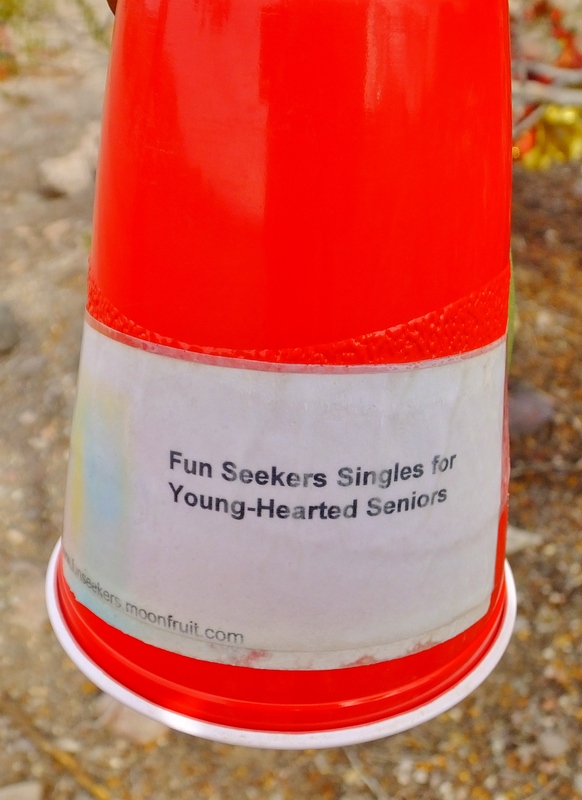 If it wasn’t the hanging seasonal red bows capturing your attention, then it was undoubtedly the plastic hanging red cups promoting a senior singles group. 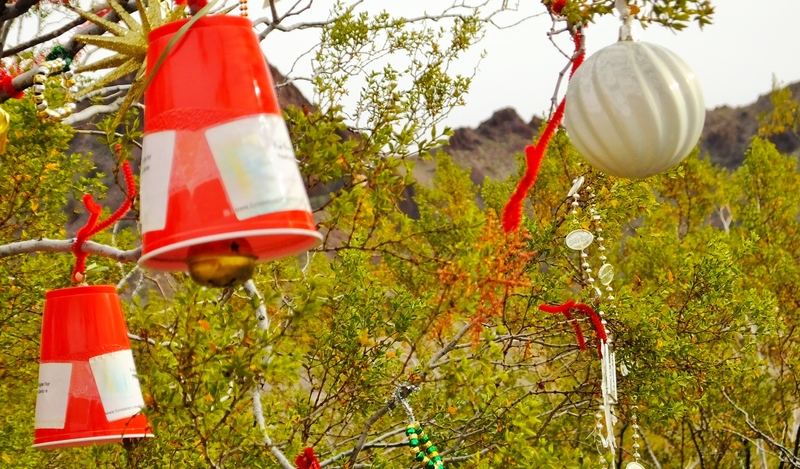 I wonder how many red cup connections have been made over the holiday season in Oatman? Is a potential red cup romance any different than my Facebook connection with the perfect stranger? My perfect stranger adventure was now evolving into an emotional romance. Can an established emotional intimacy be more powerful than a physical one? Is it common to merge two names and then consider yourself a brand? Is this my destiny; last name Black? These were some of the questions floating around in my head before I misplaced my glasses. 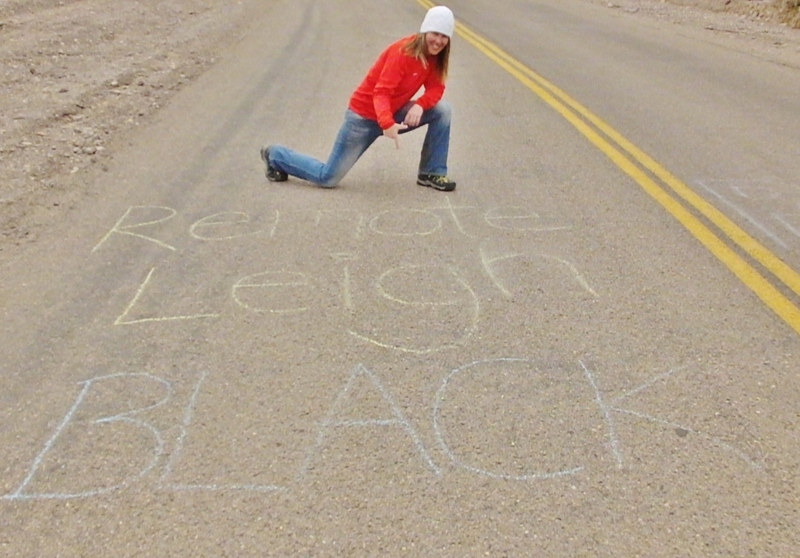 As cars drove by, we scoured the desert floor looking for my glasses. Not being able to see is a major problem when you’re the designated driver and navigator. Fortunately, the perfect stranger kept me calm until we found my specs. With a final acknowledgment of my new name, we jumped back into the car and continued on to Oatman. This Post was posted in REMOTELEIGH and tagged BURROS, DESERT COMMUNITIES, laughlin, OATMAN, REMOTE LEIGH. Bookmark the permalink.